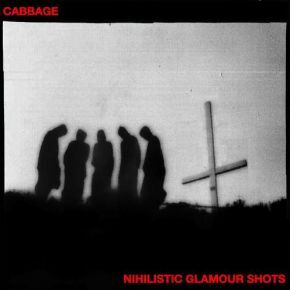 ‘Nihilistic Glamour Shots’ is the debut album from Cabbage, to be released 30th March 2018 on Infectious Music. Listen to the new single ‘Arms Of Pleonexia’, premiered recently on Radio 1 by Huw Stephens. It’s a mixture writ large throughout ‘Nihilistic Glamour Shots’, from the frenetic opening salvo of ‘Preach To The Converted’, ‘Arms Of Pleonexia’ and ‘Molotov Alcopop’, via ‘Perdurabo’s swampy blues and wild funk of ‘Exhibit A’ to the devastating seven-minute finale ‘Subhuman 2.0’. It’s hard to think of another band who could write a magnificently infectious two-minute frantic anthem and then call it ‘Obligatory Castration’. Only two album tracks have been heard before, the BBC6 Music playlisted singles ‘Celebration Of A Disease’ and ‘Gibraltar Ape’. Indeed, the savagely brilliant ‘Postmodernist Caligula’ was written and recorded in a matter of days at the end of the album recording sessions.